Welcome to The Final Lap! On your mark…get set…GO! Join us on the final lap of the Meet the Species race – to find and identify 2,012 different UK species before the end of the Paralympic Games. Over these last 12 days, we really need your help to unearth the remaining species on our ‘Wanted’ list. 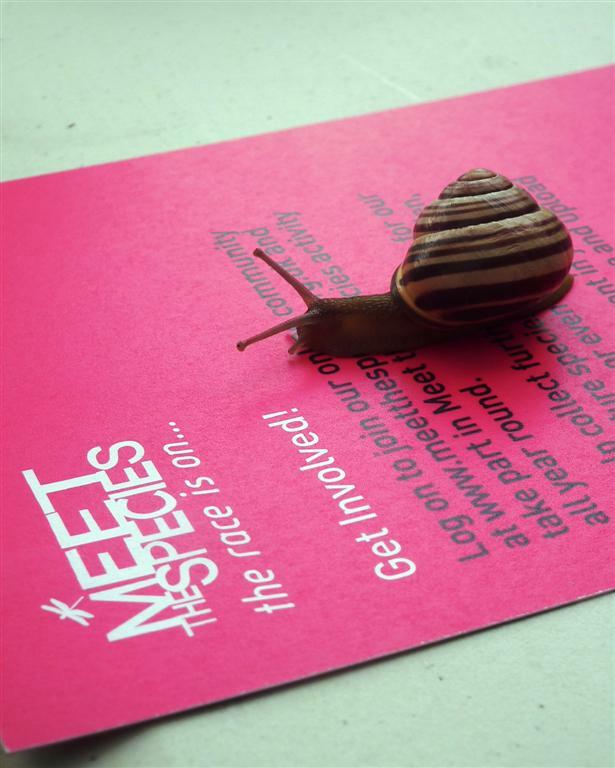 So far, a massive 1,500 species have been ticked off at ‘Meet the Species’ events across the UK. But some are still in hiding! Keep up with our UK-wide race right here – hear from top wildlife experts, share adventures and tick off your own finds. On this mega-hunt we’re joined by BBC The One Show’s Mike Dilger and Miranda Krestovnikoff, urban birder David Lindo, ‘bug boy’ Nick Baker, butterfly and moth man Matthew Oates and loads more. So why not get hunting and upload your wildlife images through our friends at iSpot for expert help identifying species and ticking them off the big list. Meet the Species is part of Discovering Places – a London 2012 Cultural Olympiad campaign inspired by conservation work on the Olympic Park. And our findings will help protect wildlife in the future. Meet the Species is your chance to take part in an enormous wildlife survey.